Motherhood is tough, incredibly tough and we often need things along the way that are going to make our life easier. Maybe it's just me but I find so much of my days sometimes are spent prepping for things; I wash and sterilise bottles to prep them for my sons milk, I get clothes out, swapping and changing ideas to prep my sons outfits for the next day, I am constantly cooking, steaming and blending to prep their meals for the week. Motherhood is a lot of prepping. Perhaps because I like to be organised and prepared and that's why baby food pouches will always be incredibly useful to us a family. They make life easier and as parents I think we all need a little bit of the easy life every now and again, don't you? Pouches are a go-to for on the go. Pre-made baby pouches and jars have a bad reputation, they really do. Don't get me wrong I am not sitting here telling you to start weaning from a jar or incorporate pouches into everyday life, but they have their uses and I don't think anyone can deny that. For me, their uses are convenience. When we're heading for a day out and I'm not too sure if the place we are going to visit will have facilities to feed Patrick - a pouch has my back. I make sure I buy a couple in each week and though they don't always get used, it's reassuring for me to know I have something in my bag that my son will enjoy and devour. 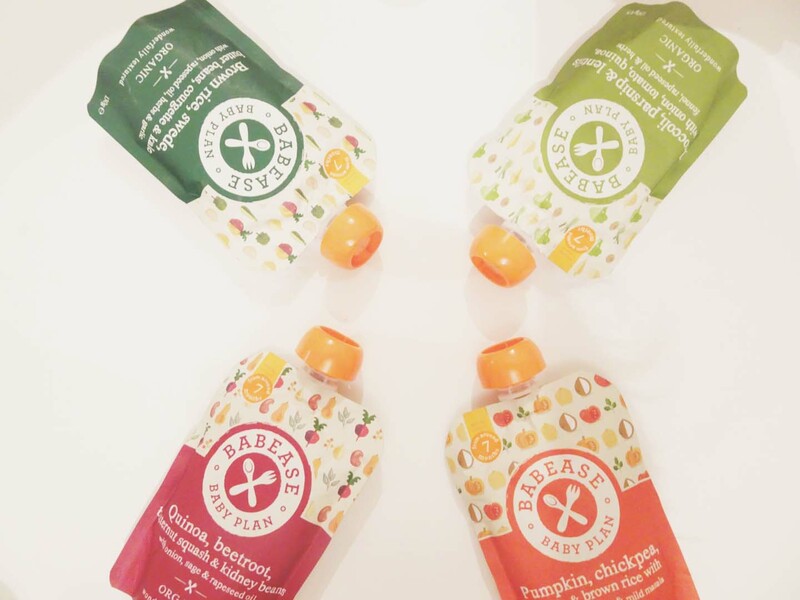 But the choices are endless when it comes to baby pouches and jars, and over the months I have sampled a little something from most brands out their on the market, Ellas Kitchen, Piccolo, Little Angels, Hipp organic, Aisha and Babease. Naturally I have my favourites and I think it was pretty transparent which pouches that was, when I searched in 7 different stores to find these again. There isn't a a shadow of doubt in my mind that they are the best of the bunch for us. Babease won us around last month, they kindly sent us a box full of their 7m+ goodies and I was completely bowled over. Firstly, their pouches weren't gimmicky or garish, they were plain and simple with all the factual information you need ready at hand which was great and a huge plus for me. 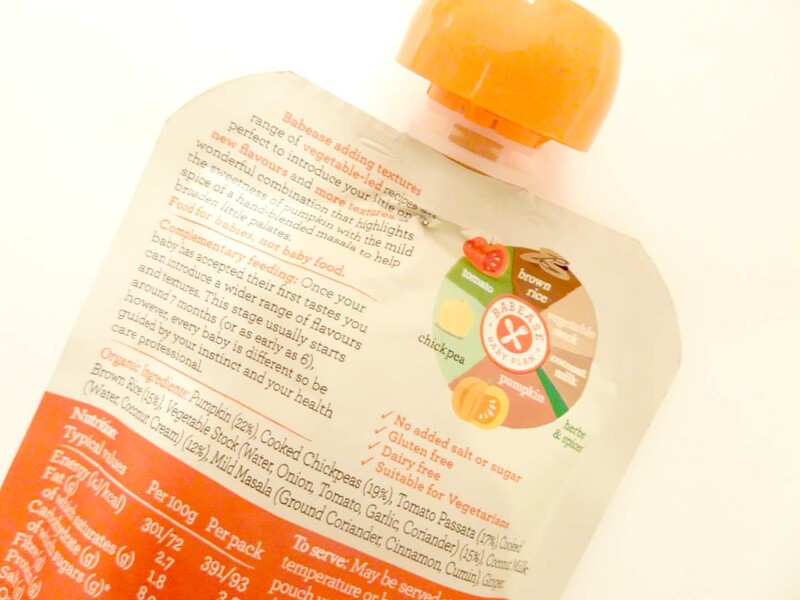 All of their meals are vegetable based with only organic produce used, and as soon as your little one moves onto the 7m+ rage they remove fruit completely from the pouches which ensures no body will get a partial liking for sweet over savoury. Their pouches are packed with seeds, grains, herbs and spices so no chance of a bland palette when your little one is sampling these flavoursome meals. I'm sure I am not the only Mum that likes to feed their baby food they would eat themselves, so of course when I see ingredients like quinoa, onion and sage, coconut cream and brown rice, I am elated. Finally a baby brand that seems to have really truly got on board with feeding our children food we would ourselves. Babease however does have one flaw for me, it isn't widely stocked meaning that getting hold of some more has proved a little fruitless though thankfully I managed to purchase some more via their website. 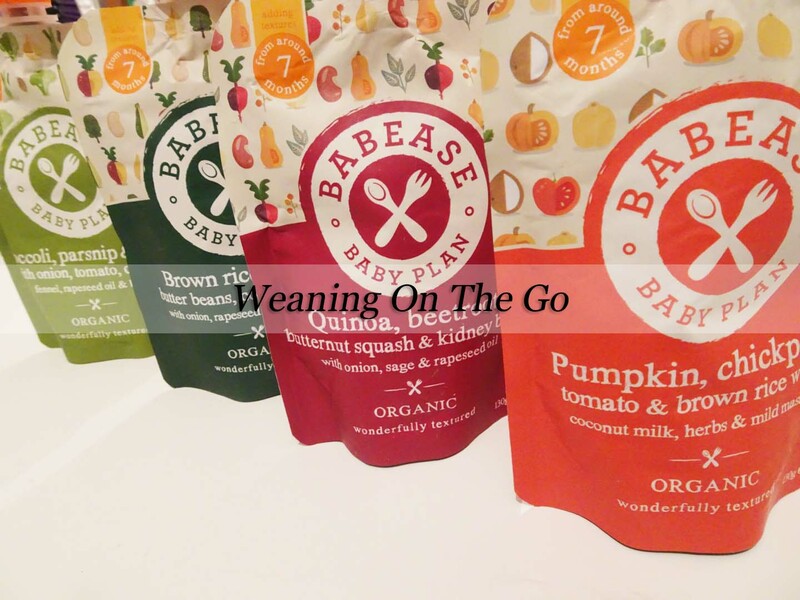 I can hand on heart say I've never, ever sourced out baby food to buy online before - so it gives a clear indication of how much we really do enjoy using Babease. That's clever about removing fruit to stop the sweet flavours becoming the favourites! I'd not thought of that before! These sound so well thought out! I will never understand the people who have a problem with people using pouches. I use them as they are so handy! I'd like to say that I make homemade stuff but honestly I don't have the time. Pouches for the win! I have no problem with pouches. A time saver, nutritious and my kids always loved them. Win, win, win! In fact my seven year old would still have them now if I brought them! And as for my two year old who will not eat fruit, it gives me reassurance as a mum that he is getting his five a day when he has these. I've never heard of this brand though. Great timing to see this post as my little one is almost at weaning age and I am terrified. These pouches look easy and convient when life gets in the way of mashing sweet potatoes!! We did baby led weaning, but there were times when we were out and it was easier to grab a pouch than try and find something quick and easy and baby friendly! These sounds great though - fab variety and I know Alfie would have gobbled these up! Pouches were my saviour when I was weaning youngest. She was a really fussy eater but she used to love a pouch and they took the stress out of mealtimes. These look really good and from looking at the ingredient list they seem really healthy too. This is brilliant because like you say pouches can have a bad reputation but Babease are clearly healthy. They also look like they have really interesting and tasty flavours too. I will be recommending these to my friend who has just started weaning her baby.